Explore the power of enterprise level Document Management System. A highly scalable, rich with features and securely integrated with VIENNA Advantage ERP and CRM solution. VIENNA Advantage DMS is the first ever Document Management System to be securely integrated with ERP and CRM solution. It comprises of enterprise level workflow and business process management with great automation level and highly secure encryption of documents. 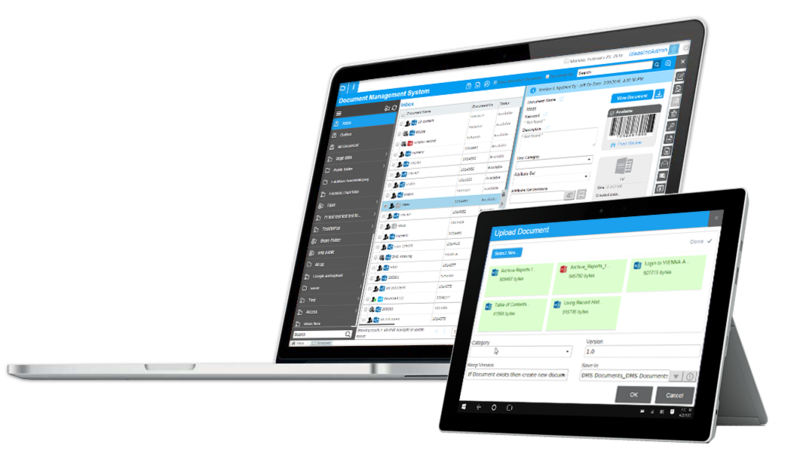 Built on VIENNA Advantage Application Development Framework, our document management system is seamlessly integrated with other VIENNA Advantage products such as ERP, CRM, Business Intelligence, Point of Sale.